It’s true that even the youngest child can prattle off a prayer learned by heart, and many adults will mumble through the prayers at Mass while mentally going over their grocery list or thinking about what they’re going to order at Sunday brunch. But real prayer, truthful prayer, the kind of prayer that enriches your soul; that kind of prayer takes effort. In many ways, that’s the problem with prayer. It’s hard work, and to get anything out of it takes consistent effort on the part of the person praying. Prayer takes work, not because there is a wrong and right way to pray. God doesn’t desires perfection in our prayers. Prayer takes work because as humans, we are prone to distractions. There is no doubt that we want to have a conversation with God, but like uninvited guests things in our lives overshadow our minds and guide us away from the Lord–often without us even noticing it. The post I cited above, offers some great tips on how we can be more focused during prayer. Do You Pray The Liturgy of The Hours? I have started praying The Liturgy of The Hours about a year ago, and reading Dan Burke’s article, “Liturgy of the Hours for the Rest of Us” prompted me to share this life enriching practice with you. Do you pray the liturgy of the hours? The Liturgy of the Hours, also known as the Divine Office, canonical hours, or the Breviary is basically a set of daily prayers that was originally prescribed by the Catholic Church to be recited by priests, deacons and other religious institutes. But the Second Vatican Council later on counseled that it would be fitting for the general Catholic congregation to to take up the practice as well. I encourage you to start getting accustomed to The Liturgy of The Hours. It has caused me great peace and joy in my everyday life. As Pope Benedict said in one of his homilies, “Our relationship with God can only be enriched by our journeying towards Him day after day.” Praying The Liturgy of the Hours in addition to periods of private prayer, meditative reading of Scripture and attending Mass can certainly draw us closer to God. So do you pray the liturgy of the hours? If not, you might want to start thinking about it. Should you need more information about The Liturgy of The Hours visit: The Divine Office. Another heart breaking tragedy has hit our nation, this time in the form of a massive tornado. While my family and I are thankful that we were not put through such a horrible calamity, we cannot help but shed a tear for all those who are affected by it. We would like to bring comfort to everyone who is affected by the disaster, we cannot be there for them physically. However, this does not mean that there’s nothing we can do for them. The power of prayer is always available to those who seek it. As they say, you always have something to give. We may think that there is nothing we can offer others, but the truth is, there is always something that we can do to help. How? Pray–yes, we can give them the powerful gift of prayer. The spirit of love we share with them, magnified through prayer, reaches across the miles to comfort and bless all whose lives have been affected by the calamity. “Our Blessed Pope Francis urged us all to Join Hands And Prayer For Our Brothers And Sisters In Oklahoma. The power of prayer should not go overlooked. We pray for the people whose lives have devastated by rain and flood. Bring them comfort, we pray. Keep at bay the spread of disease. Have mercy on all those working to rescue the stranded and to feed the hungry. And may our response to their suffering be generous and bring you praise. For we ask it in Jesus Name, Amen. Never forget about the power of prayer. When you feel helpless turn to God in prayer. A lot of people do not pray or believe in the power of the rosary. Many non-Catholics often refer to it as vain and repetitious, and even some Catholics do not fully understand its full meaning. As for me and my family, the rosary is one of the most powerful sources of faith. It has kept us together and done wonders and miracles for our home through the years. The rosary strengthens our faith, fuels our love, and saves us from the harms and ills of this world. Yes praying the rosary is repetitive, but this is one characteristic that makes it so powerful. This very nature of the rosary makes it more than just a prayer but also a form of meditation. Furthermore, when you pray it you address not only to our Heavenly Father, but the entire Holy Trinity and the Blessed Virgin Mary. I want to share an eye-opening post on the rosary with you here: Catholicism Through My Eyes: The Rosary. Finding the time to pray with your family is not always easy. The bigger your family is the more you will have to try to make a convenient time for everybody to pray together. The idea of creating a time like this for prayer is similar to finding the time to have the whole family sit down for dinner the same time each night. If you can set a time and make a habit, it will become easier for your family to do this on a regular basis. If you have struggled to find ways to pray as a family before, a post I read recently called, “25 Ways to Pray as a Family in the New Year” could help you a lot. The article offers a lot of useful tips to help your family come together for prayer time. Praying the rosary is something that we should all be doing more often. A lot of people simply say the prayers though, and this is not the purpose of the rosary. You should feel something deeper than just the words coming out of your mouth. The words should resonate inside of you and make you feel something more. I read a post with tips to help you pray not just say the rosary and I thought it was really awesome. Some of the tips on this post included one claiming less is more. What they mean is that instead of rushing your way through the entire rosary, it would be a lot better to say only a decade or two and make it more thoughtful. They also suggest saying each prayer more slowly and clearly, as if you were speaking to God rather than blurting out the words. There are a lot more tips in this post, and if you need some more reasons to make praying the rosary more of a habit then I suggest reading them. You can find interesting ways to teach your family about the saints. Creating a family litany is one way to do so, and it is quite simple. Constructing a list of saints to include in your litany can be a cool way to discover saints that you don’t know much about. A recent post on Catholic Mom gave some great information on how to create a family litany. Lauren, the author of the post, gave great ideas such as including saints who share names with your children, spouse, and any other family members. She also suggested including the patron saints of your and your spouse’s professions. Check out the post and learn how to create a family litany today! As a practicing Catholic, you live in a world that is fractured in so many ways. It’s difficult to remain devoted to Christ and remain “on track” when we face so many diversions, distractions and demons. Yes, the 21st Century is a challenging time for a practicing Catholic. But the world was also a very challenging place two thousand years ago. Ummm, hold the phone… did He say “setting the earth on fire” and “division”? I thought Jesus was all about “love one another”? The “take-away” from this message is: look, buddy, if you want to be a “practicing Catholic” and follow Jesus, be prepared to face some resistance, and some division. We live in a fractured, splintered world. Not everyone will be accepting of your beliefs. Which should also drive another message to you: a practicing Catholic may face a bumpy road along the way to heaven. Will you worry more about pleasing others around you? Will you be prepared for dealing with your own personal demons? What about facing your own distractions and the tests of temptations, and letting “life” getting in the way for a practicing Catholic? Yes, Jesus came to walk among us, in an effort to change the world. And to a certain extent, He succeeded. The Christian population, and ultimately the Catholic Church emerged from this time. But was Jesus just crash-landing here to start a new church? Hardly. He created a “division” that exists to this day for a practicing Catholic. Not an evil kind of division, but an alternative. Think about what the world Jesus parachuted into: two thousand years ago, following the words of Jesus was an alternative to the many gods all the different tribes and families idolized. And He provided an alternative to the “an eye for an eye” approach, by suggesting, hey, maybe we should try to love another instead. You know, treat your neighbor as you wan to be treated. And here we are, two thousand years later: idolatry, giving false prophets attention and demons (like the love of money) curse the world to this day. A practicing Catholic fifteen hundred years ago, one thousand years ago, five years ago lives among others who simply do not see things as we do. While it is important not to judge others, it is crucial to bear in mind a practicing Catholic faces division, resistance and constant challenges. In the same passage, Jesus states, “There is a baptism with which I must be baptized, and how great is my anguish until it is accomplished!” Certainly He is not referring to a dip in the water kind of baptism, but the human pain of death and the painful human process that death, crucifixion, entailed. But that was done to show a practicing Catholic that we should not fear death, but rather, look forward to the day we are all together in heaven. 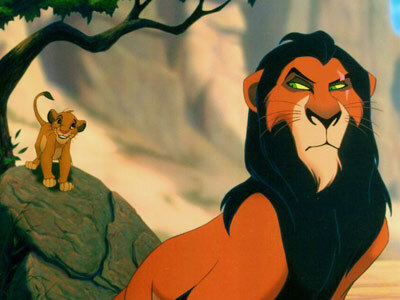 So, like the tune from “The Lion King” we should all “be prepared!” Be prepared, as a practicing Catholic, to face a constant test: perhaps from loved ones, from others, from temptations and distractions. The road to heaven will not be smooth nor safe. I was initially surprised to read and hear these words this morning at mass. But it made sense to me after reflection. What are your thoughts hearing Jesus talking about coming to “set the world on fire” and “how I wish it were already blazing”?